The crypt now called “of Epiphanius” is the only one completely preserved of the two crypts known in the abbey of San Vincenzo al Volturno, and it is a little treasure of Early Middle Age art: with its very well preserved frescoes representing the history of the Cristian Church, it is a rare example in Europe of early Middle Age paintings. 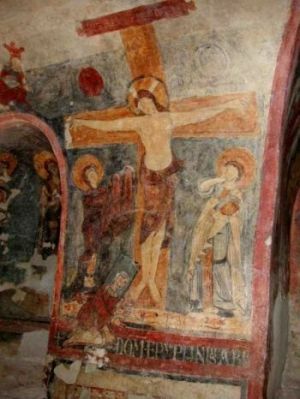 Traditionally the abbot Epiphanius (824-842) is indicate as the building promoter of the crypt: indeed his figure has been painted in the act of adoration of the Cross in the Crucifixion frescoed scene. Some diagnostics analysis have been carried out between 2012 and 2017, by a mixed team of Suor Orsola Benincasa University (Naples) and the company Kos Arte e Indagine. 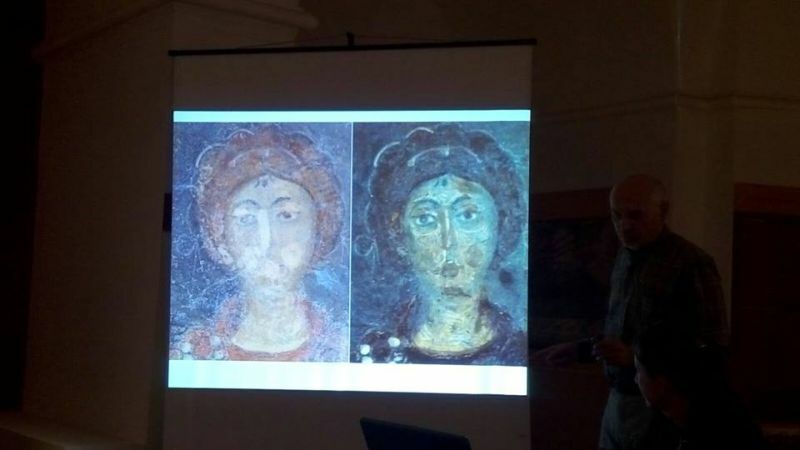 After the interpretation of the results, it turned out that there is a big difference between the frescoes of the crypt and the particular portraying Abbot Epiphanius: the presence of “Egyptian blue”, plaster on which it has been painted Epiphanius, overlaps of parts of Epiphanius body and the rest of fresco. For these reasons the fact that Epiphanius was the building promoter of the crypt could be questioned. Perhaps the crypt and the frescoes may be elder, and Epiphanius has just added his image on his time. 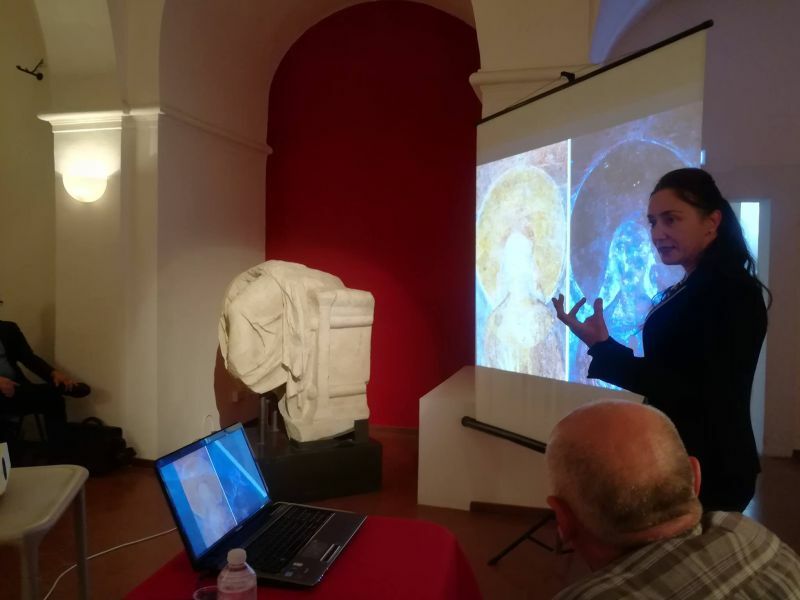 This would mean to backdate all the examples of early Middle Age frescoes in Southern Italy, all of them have been dated on the comparison of Crypt of Epiphanius. 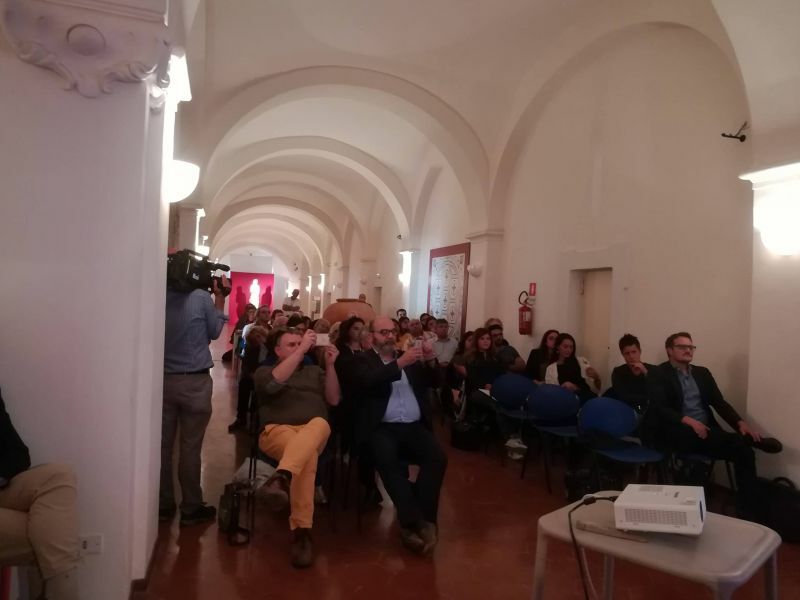 In a public conference, carried out 25th September 2017, all these important scientific news have been disclosed, in the Archaeological Museum of Venafro, where are exposed all the main artifacts recovered in the abbey of San Vincenzo al Volturno during decades of archaeological fieldworks.